Aamir Khan's Thugs Of Hindostan Censor Report, Run-Time, Screen Count And Other Details! 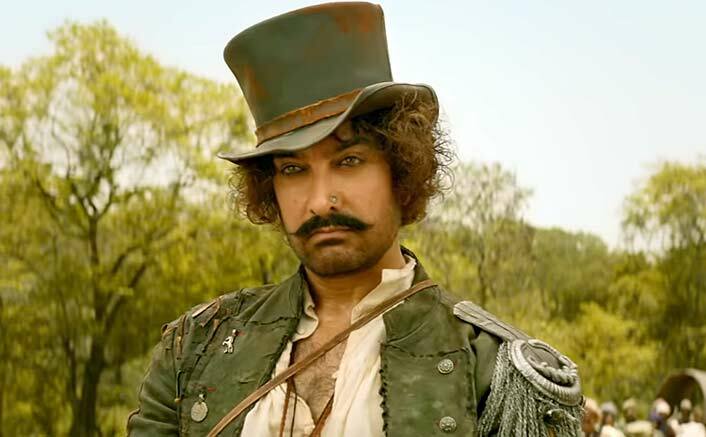 Aamir Khan and Amitabh Bachchan’s magnum opus, Thugs of Hindostan was recently cleared by the censor board with a U/A – Universal Adult certificate. The CBFC cleared the film with no visual cuts and the major reason for getting a U/A certificate are the action sequences in the film which results in blood shed. Keeping up to the reputation, this is yet another YRF film which has been cleared without a single cut and declared as apt for family viewing. The run-time of the film is approximately 160 Minutes (2 Hour 40 minute) including the start as well as the end credit. Unlike other films which are usually granted censor certificate around a week before their release, Thugs of Hindostan has been cleared much in advance and this is primarily because the print of the film has been locked long back after multiple test screenings. This is a norm followed for almost all films starring Aamir Khan in lead as the superstar always ensures finalising the technical aspects of the film long in advance. Talking about the screen-count, the action entertainer will undoubtedly be the widest release of all time by defeating Tiger Zinda Hai which released on 4600 screens in India. Though too early to comment on the screen count, but if the film releases in Madhya Pradesh, it would get minimum 4800 screens across the country with a possibility of even touching the 4850-screen mark. A lot depends on how many single screens, which are traditionally not known for screening Hindi films, the makers manage to lock in the interiors. But as things stand today, a release on 4800 screens is more or less certain. Directed by Vijay Krishna Acharya, Thugs of Hindostan is slated to hit the big screen on 8th November 2018. The film is said to be the costliest Bollywood film till date with an estimated budget of Rs 220 crore. A huge chunk of money has been spent on building as well as dismantling the two humongous ships in Malta, where a major chunk of film has been shot. The movie also stars Katrina Kaif and Fatima Sana Shaikh in lead. So ace coming with an out and out commercial! Adding to that his first dot holiday release since 3 idiots. Too bad it wasn't even average..!! everyone needs to be supportive ...... help to preserve the specie.... there are only 37 left in the wild ..they are gonna go extinct if not for our support. We supported TOH but TOH didn't supported 37 people group. 71.75cr first day and 253.35cr weekend , it has done . Badshah bhai since u r my close forum friend , I want u to know that apart from my time travelling ability I have unlocked one more power ---- My third eye . Help..u too should know about it..
@♡_Lee i knew that already ..
oh....so this is third eye...kinda sixth sense......how did u unlock that?? Thugs Of Hindostan Advance Booking Starts Today In UAE. See Run Time 190 Min. Very Long Film.